“Vivian Maier: A Life Discovered” hosted by Tim Roth at the Merry Karnowsky Gallery in Los Angeles. The Maloof Collection and Merry Karnowsky Gallery are proud to present Vivian Maier: A Life Discovered. Please join us for the Opening Reception this Saturday, January 7th from 8 – 11pm at the Merry Karnowsky Gallery (170 S. La Brea Avenue, Los Angeles, CA 90036). Please note that the opening will be filmed for the upcoming Vivian Maier documentary. Unearthed by John Maloof in 2007 at a local auction house in Chicago, Maier is only now beginning to be recognized as an iconic street photographer from the 40’s, through the 70’s. A body of work that spans not only the US, but the globe, Maier took more than 2,000 rolls of film, printed over 3,000 photographs and produced more than 150,000 negatives representing the street life and architecture of New York, Chicago, Los Angeles, and the American Southwest, as well as destinations as far off as Manila, Bangkok, Beijing, Egypt, and Italy. Invested in her bird’s eye view of the people who made industrious cities thrive and pulse, Maier captures gentle and poignant moments between parents and children, the disenfranchised and forgotten, in a country on the verge of social and political upheaval. Maier recorded historic landmarks and their demolition as developments were built to replace them over decades. Maier’s ability to grab the right frame at exactly the right moment, with elements of lighting, movement and essence all aligning, is revealed in the remarkable fact that she seldom shot more than one picture of the same moment in time. An intensely private person who kept most of her work hidden, Maier also created a series of homemade documentary films and audio recordings that have yet to be released to the public. Having worked as a nanny most of her adult life, Maier was described by those she cared for as “a free spirit, but also a proud soul,” – “a quasi Mary Poppins figure.” She was, in the accounts of the families for whom she worked, very private, spending her days off walking the street taking photographs most often with a Rolleiflex camera. At the end of her life Maier became impoverished, but several children she had cared for pooled their money together and paid for an apartment and other necessities in her later years. Unbeknownst to them, a storage locker that contained a slew of negatives Maier had secretly hidden away was auctioned off due to delinquent payments. Maier died in 2009 at the age of 83, before the extent of her legacy had been fully understood or revealed. The Maloof collection is comprised of roughly 90% of Vivian Maier’s work, which has been meticulously reconstructed, archived and catalogued. The collection consists of 100,000 to 150,000 negatives, over 3,000 vintage prints, hundreds of rolls of film, home movies, audio tape interviews, original cameras of Vivian Maier, documents and various other items. The Maloof Collection and Howard Greenberg Gallery are proud to present the recently discovered work of street photographer, Vivian Maier (1926-2009). This will be the first exhibition displaying around 60 contemporary silver gelatin prints and over a dozen vintage prints. Please join us for the Opening Reception this Thursday, December 15 from 6:30 – 8:30pm at the Howard Greenberg Gallery (41 East 57th Street, New York, NY 10022). You don’t need to RSVP and please note that the opening will be filmed for the upcoming Vivian Maier documentary. A nanny by trade, Vivian Maier’s street and travel photography was discovered by John Maloof in 2007 at a local auction house in Chicago. Always with a Roleiflex around her neck, she managed to amass more than 2,000 rolls of films, 3,000 prints and more than 100,000 negative which were shared with virtually no one in her lifetime. Her black and white photographs-mostly from the 50s and 60s-are indelible images of the architecture and street life of Chicago and New York. She rarely took more than one frame of each image and concentrated on children, women, the elderly, and indigent. The breadth of Maier’s work also reveals a series of striking self-portraits as well as print from her travels to Egypt, Bangkok, Italy, and the American Southwest, among dozens of other international cities. “My fascination with her story has only grown, as has my involvement with her photographs. It is such an unusual story with no resolution. At first her images are extremely well seen, quality photographs of life on the street, in New York City and Chicago. But as one looks at the body of her work, she reveals her deeper interests. Then one tries to imagine who she was, what motivated her, her personality. It is not everyday that one becomes so involved and even obsessed with a particular photographer,” comments Howard Greenberg. What little is known about Maier’s life is the result of John Maloof’s extensive research. He discovered her obituary on line in 2009 which was just the beginning of his investigative work. An American of French and Austro-Hungarian extraction, Maier split her time between Europe and the US, returning to NY in 1951. In 1956, she ultimately settled in Chicago where she worked as nanny for more than forty years. For a brief period in the 1970s she worked as a nanny to journalist, Phil Donahue’s children. Towards the end of her life, Maier was supported by the children she had cared for in the early 50s. Unbeknownst to them, one of Maier’s storage lockers (containing her massive group of negatives) was auctioned off due to delinquent payments. After purchasing the first collection of Maier photographs in 2007, Maloof acquired more from another buyer at the same auction. He has since established the Maloof Collection to promote the work of Vivian Maier and to safeguard the archive for future generations. The archive consists of approximately 100,000 to 150,000 negatives; over 3,00 prints; hundreds of rolls of film; home movies; audio tape interviews, and other items representing roughly 90% of Maier’s work. Through his efforts, Vivian Maier’s photographs have been exhibited internationally and have received significant critical attention. In November, Powerhouse Books will publish Vivian Maier: Street Photographer, edited by Maloof with a foreword by Geoff Dyer. 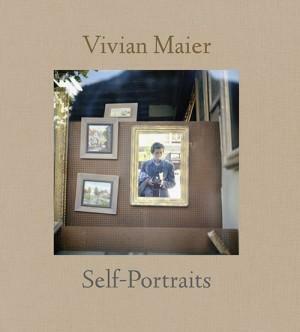 John Maloof is also co-producing a documentary about Vivian Maier. If you are in New York on Friday, November 18, we hope to see you at a slideshow presentation and Q&A with John Maloof at the powerHouse Arena in Brooklyn! In honor of the November release of Vivian Maier: Street Photographer, powerHouse Books invites you to hear John Maloof speak about his extraordinary discovery of Vivian Maier’s photography. Along with a Q&A and slideshow presentation, Maloof will detail his experience uncovering Vivian Maier’s extensive body of work and share his insight regarding the curious Chicago nanny turned posthumous street photographer phenomenon. When: Friday, November 18, 6:30–8:30 p.m.
We will have an exhibition at the London Street Photography Festival from June 30 to July 24. The London Street Photography Festival is proud to host the first UK exhibition of Maier’s work where 48 framed prints will be exhibited, both black and white and colour, alongside a selection of her fascinating silent films. The Chicago Cultural Center exhibition of Vivian Maier’s work opened on January 7th and closed on April 3rd. It featured 72 prints, cameras, notes and personal items of Vivian Maier. It was her first US exhibition. The curators said that it was the largest turnout they’ve ever had for a first floor opening. For anyone who couldn’t make the Chicago exhibit, Vivian will soon be London-bound, with her works the highlight of the London Street Photography Festival, from July 1st through the 24th. Visit our exhibitions page for more upcoming exhibitions.